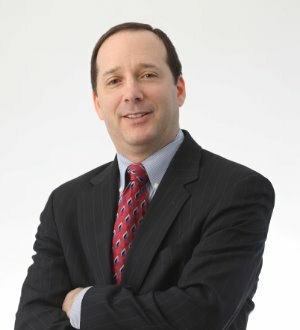 Richard H. Epstein is General Counsel of the Firm and Co-Chair of the Firm's Litigation Department, which received Benchmark Litigation's award for "2017 New Jersey Litigation Department of the Year" and the New Jersey Law Journal's "2016 General Litigation Department of the Year Winner, Midsized Firm." He is lead counsel to Fortune 500 corporations and financial institutions in litigation involving complex commercial issues, including business tort and lender liability. He regularly appears in federal and state courts in various jurisdictions. Mr. Epstein also counsels the Firm and clients on legal ethics issues. Mr. Epstein was previously associated with Weil, Gotshal & Manges LLP, where he was a senior litigation associate focusing on complex commercial litigation. Mr. Epstein is a member of the Firm's Management Committee. He has been selected for inclusion in The Best Lawyers in America since 2014 (Commercial Litigation; Litigation – Banking and Finance) published by Woodward/White; Benchmark Litigation: America’s Leading Litigation Firms and Attorneys since 2016 published by Euromoney Institutional Investor PLC; and New Jersey Super Lawyers since 2014 (Business Litigation; Employment Litigation: Defense) published by Thompson Reuters.